My friend turned the corner to enter the parking garage and cursed. I looked up and dissolved into laughter. The garage was full, which was a pain, it meant we had to walk a couple of blocks in the Dubai heat, but it was worth it to see another cheeky Mini brand experience tactic. 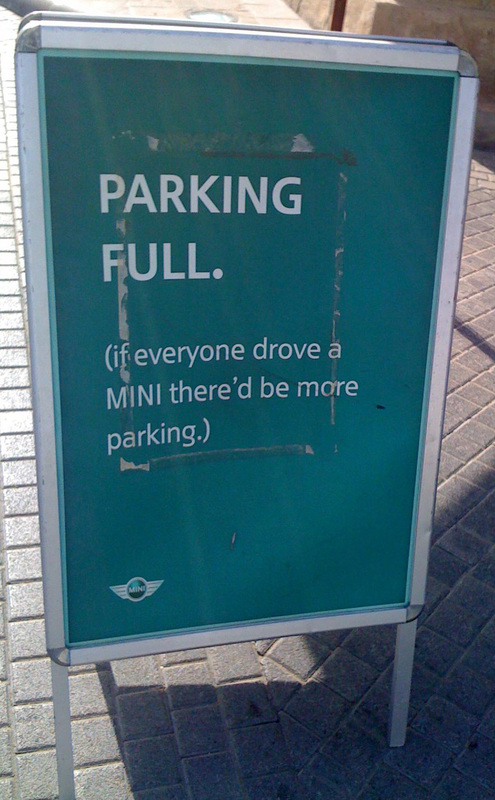 Few brands have grasped the power of experiential branding the way Mini has. 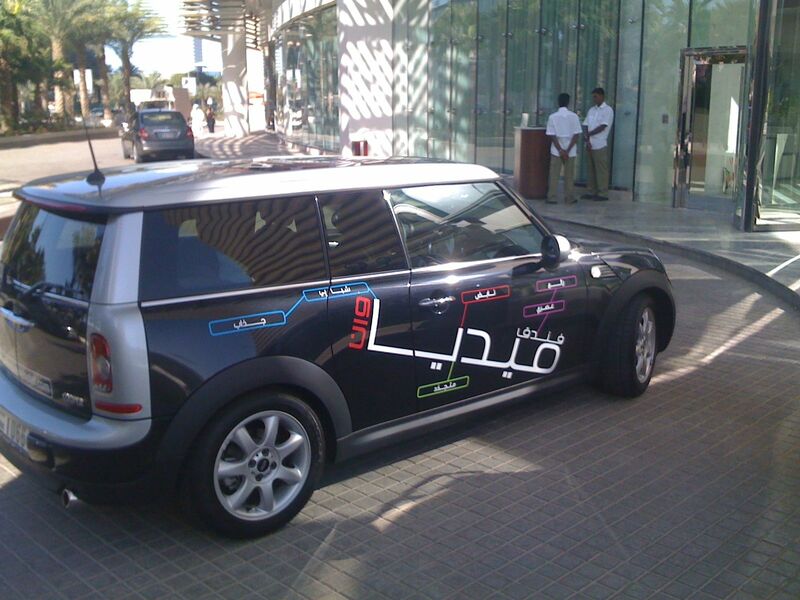 The Madinat Jumeirah is one of the most popular destinations in Dubai and Mini has managed to get thousands of brand impressions for the cost of a simple easel sign. 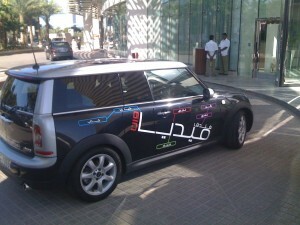 More involved but equally effective are the cars the company provides to the hip Media One Hotel as their limos.